The 7,100 islands of the Philippine Republic, scattered across the Pacific Ocean and South China Sea, teem with life. The entire nation is a recognized biodiversity hotspot — rated among the 17 most mega-biodiverse countries in the world — with rainforests, volcanic mountain ranges and tropical waters known for species found nowhere else on the planet. The archipelago’s isolation for millions of years, and its wide variety of habitats has contributed to speciation across the island chain’s 300,000 square kilometers (115,831 square miles) of land area. Species such as the Philippine eagle (Pithecophaga jefferyi), one of the largest in the world, the Sulu hornbill (Anthracoceros montani), of which fewer than 30 are thought to still exist, and the Philippine Mouse deer (Tragulus nigricans), which stands just seven inches tall, live in forests across the archipelago. A staggering 40 percent of all bird species found in this island nation are endemic — 226 out of 569 species. Compare that to the level of avian endemism in the United States, which stands at just 7.5 percent, even though the US is more than thirty times the size of the Philippines. BirdLife International has identified ten Endemic Bird Areas (EBAs) in the Philippines — EBAs being “the most important places for habitat-based conservation of birds” worldwide. Together those ten EBAs encompass almost the whole of the archipelago. 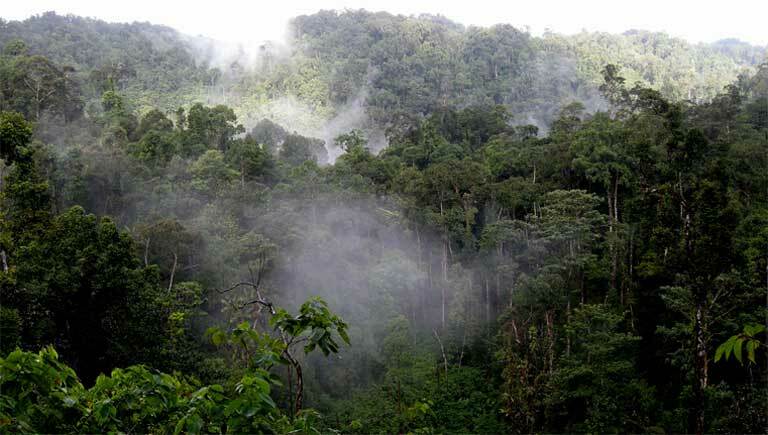 But these species-rich habitats, along with the unique animals that rely on them for survival, are at risk due to a legacy of extreme deforestation that is many decades old: only a fraction of primary Philippines forest is left. Among the most endangered animals are the elusive, shy, ground-dwelling Bleeding-heart doves, named for the colorful red or orange plumage that looks like an open wound blossoming on their white breasts. All five Bleeding-heart dove species are endemic to the Philippines. Three, found on just a handful of islands, are classified as Critically Endangered by the IUCN. They’ve also been singled out by the Zoological Society of London’s EDGE of Existence program which lists them in the top 100 “Evolutionary Distinct and Globally Endangered” bird species. Favoring closed canopy lowland forest, and foraging on the forest-floor, Bleeding-hearts are particularly hard hit when the little forest that remains to them is disturbed or cut down. “Habitat loss from small scale logging, mining and human encroachment (agriculture and residential) are [the] main threats” to the species, revealed Juan Carlos Gonzalez, the Director and Curator for Birds at the Museum of Natural History, University of the Philippines at Los Baños. The birds are also hunted for consumption, trapped accidentally alongside other target species, and captured for sale in the pet trade. This is despite protection under Philippine law for all endangered species, with penalties ranging from fines to several years imprisonment. For one species, the Sulu Bleeding-heart (Gallicolumba menagei) the chance for survival is slim. Fewer than 50 individuals are thought to remain on the island of Tawitawi. Even though there hasn’t been a confirmed sighting of the species since 1891, reports from the 1990s offer some hope that a small population hangs on. It’s not only the extreme rarity of G. menagei that makes a comprehensive population assessment difficult. Accessing its most likely habitat to do a thorough survey is hampered by the “risk of bandits and insurgency,” Gonzalez said. Read the full article on Mongabay. Hydropower development is booming, with controversial projects unfolding across the Americas, Africa, Asia and Europe. Though often presented as a green renewable energy option, dams can cause a litany of negative impacts: disrupting the downstream flow of nutrients, interrupting aquatic migration routes and harming fisheries. They flood forests, destroy habitat and increase the release of greenhouse gases as vegetation decomposes. Dams also displace human communities — submerging homes and indigenous territories. A new study adds another impact to the list, one that is widespread but has so far been overlooked by dam developers: “extinction debt” — the incremental but inexorable loss of species and diminishment of biodiversity over time on islands created by reservoirs. Hydropower developers have long claimed reservoir islands as quality habitat and as viable conservation areas — both assertions are false, according to the new research. 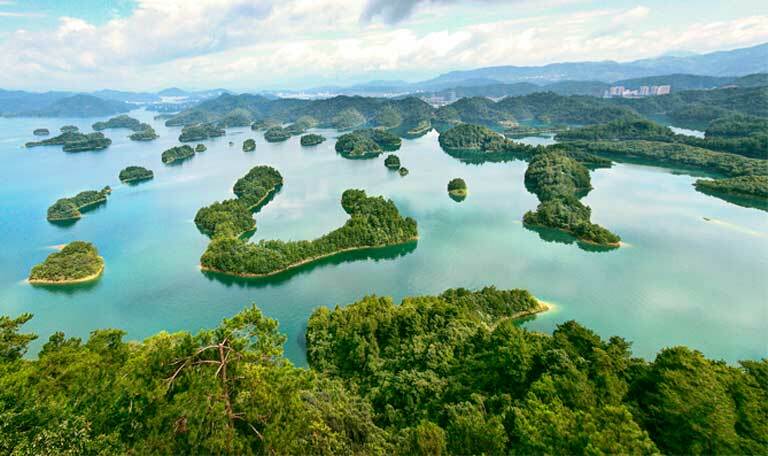 The study, led by Isabel Jones at the UK’s Stirling University, collated biodiversity data from 100 studies of reservoir islands — with time since habitat isolation ranging from 1 to 92 years — at 15 dams in North, Central and South America, Europe, and Asia. In more than 75 percent of cases studied, dams had an overall negative impact on reservoir island species, affecting factors such as species population density, ecological community composition, and species behavior. 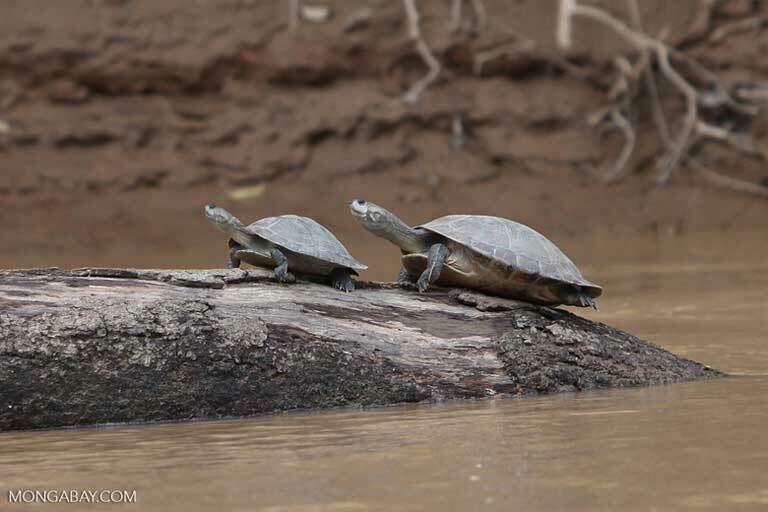 For as long as people have lived in the Amazon, turtles have likely been on the menu. But what was once low-impact subsistence hunting escalated dramatically after the arrival of Europeans. From the 1700s onward, demand for turtle eggs and meat skyrocketed. And the eggs weren’t just for eating: estimates suggest that more than 200 million eggs were harvested for both consumption and oil, fuelling lamps across Europe for two centuries. This overexploitation led to such dramatic population declines that the Brazilian government eventually stepped in, launching the ambitious Amazon Turtle Program in 1979 — an on-going initiative that has so far protected 70 million turtle hatchlings across the Brazilian Amazon, with the intent of conserving vulnerable species. 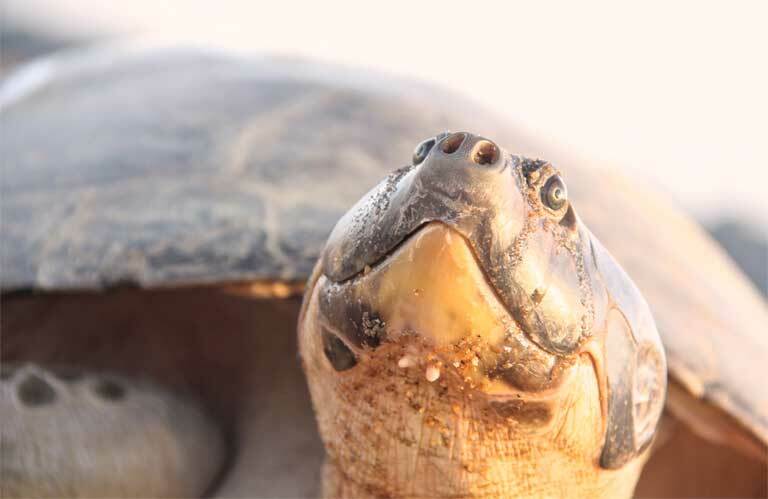 But while that program continues to work toward a sustainable future for turtle populations —and for the people who still see chelonians as an important source of protein — three more recent threats loom over Amazonian turtle species: the illegal wildlife trade, widespread hydropower dam construction, and mercury contamination. A singular Amazonian catfish is capable of an amazing feat: hidden from human eyes, the species travels vast distances over its lifetime, making a round trip covering more than 8,000 kilometers (nearly 5,000 miles), to return to its natal breeding grounds, a new study confirms. But even as this record-setting feat — the longest freshwater migration in the world — is scientifically confirmed, the species is threatened by hundreds of planned Amazonian dams. 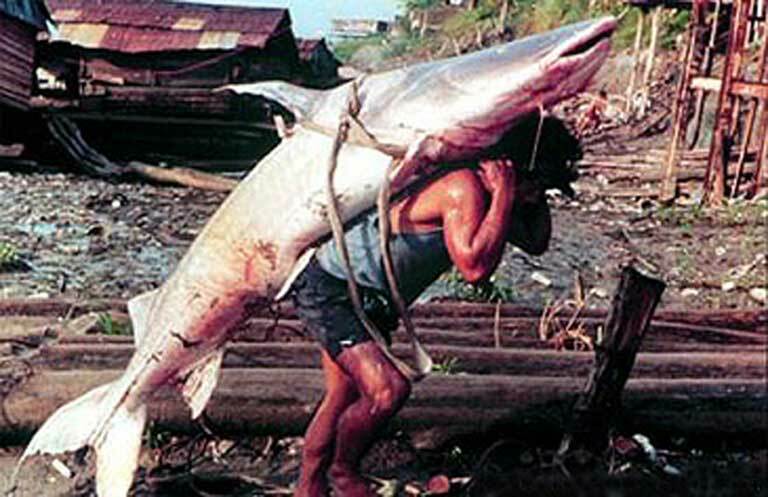 Brachyplatystoma rousseauxii is a commercially valuable catfish species and an apex predator, growing to 3 meters (more than 9 feet) long. Understanding the migratory patterns of the fish, whose range spans six Amazonian countries, “is paramount for designing adequate conservation and management strategies, especially in view of the current and proposed hydroelectric development throughout the Amazon basin,” the researchers write in the Journal of Applied Ecology. Observations in the 1990s concerning the size distribution of catfish caught along the length of the Amazon River first led researchers to suggest that long-distance homing migration might be taking place, explained study lead author Fabrice Duponchelle of France’s Institute of Research for Development. Subsequent genetic analyses were consistent with that hypothesis, but still didn’t offer definitive proof. Intrigued by the possibility that catfish might be homing over such vast distances, Duponchelle employed an innovative technique in the new study to get conclusive evidence: chemical analysis of the otolith, a type of ear bone. As otoliths grow, their chemical composition changes to reflect the background levels of particular chemical elements found in the environment. Like tree rings, the layers of bone relate to their age: the center, innermost layer of otolith is the oldest, and reflects life as a hatchling; the outer edge is the most recent, and reflects the last stage of the fish’s life. The giant Amazonian catfish is a valuable commercial species, an apex predator, and the world’s long distance freshwater fish migration record holder. Photo courtesy of the USGS Columbia Environmental Research Center. An estimated 1,500 orangutans now live in rescue and rehabilitation centers located across Sumatra and Borneo. As habitat loss due to deforestation and forest fires continues, these institutions are struggling to keep up with demand. Release into the wild is the ultimate, urgent, goal for most of these animals, but a new study warns that there could be serious genetic implications for the offspring of reintroduced animals — and orangutan populations in general — if those rescued from one region are released into a different region. 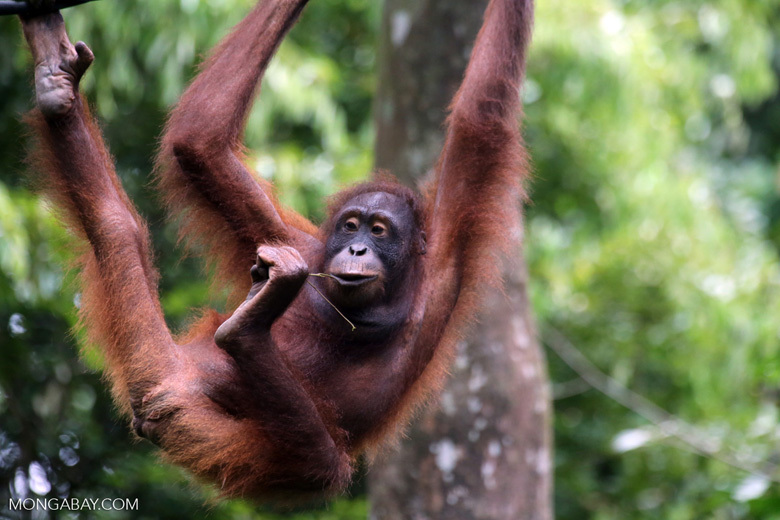 The study, led by primatologist Graham Banes, examined the genetic consequences when orangutans from different, divergent, subspecies interbreed. Borneo’s three recognized subspecies — from three distinct regions — are thought to have diverged from each other 176,000 years ago, meaning that hybridization between them may result in negative genetic effects. If hybrid offspring reproduce, combinations of genes that were beneficial for one lineage can be disrupted, resulting in poor health and reduced reproductive success, the researcher said. These effects, known as “outbreeding depression,” could threaten the survival of individuals and populations in the long-term. 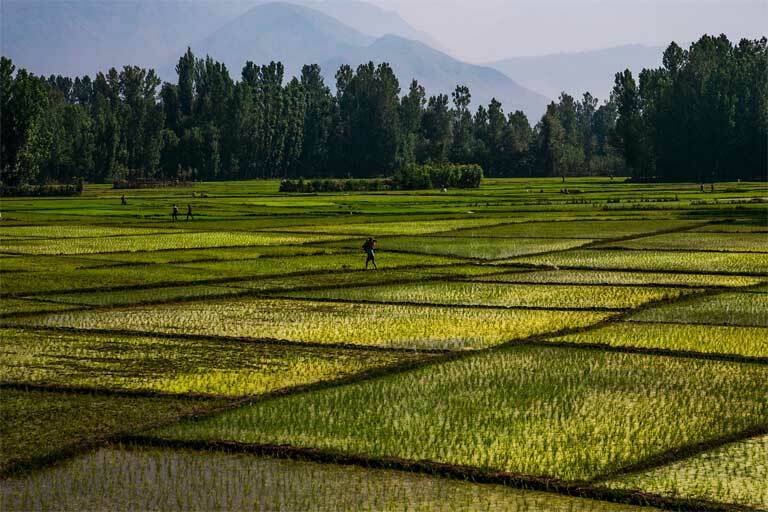 Among the myriad impacts climate change is having on the world, one in particular may come as a surprise: heightened atmospheric CO2 levels might be adversely affecting the nutritional quality of the food you eat. As carbon dioxide in the atmosphere continues to increase, you could end up eating more sugar and less of important minerals such as zinc, magnesium and calcium — without even realizing it. Those effects could also be reverberating up the food chain and altering ecosystems in as yet poorly understood ways.